— A Martu man who has been in court and prison many times. Martu don’t really understand the criminal justice system (CJS) and agencies in the CJS don’t really understand Martu. By working closely together, it is possible to generate better outcomes for all parties – better relations with police, more options for the magistrate, better programs in prison and more opportunity after serving prison sentences. The first stage of the CJS program is to teach Martu about the system through an education program focused on Martu experience. This includes learning about the criminal law and the role of different agencies, running mock courts and talking with the police and magistrate. 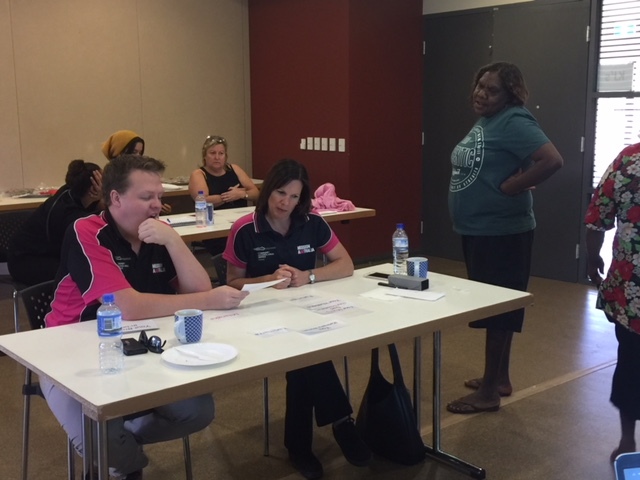 The second stage is to teach CJS agencies about Martu, through a cultural awareness program, cultural immersion camps (see the film below), presentations on Martu concepts of crime and punishment and the broad Martu experience of the criminal law. Ideally, this process moves towards developing cultural security within those agencies. These educational steps ground the most substantial field of work: collaboratively developing initiatives to change the way in which the CJS interacts with Martu and the levels of crime and incarceration that lead to that interaction. a card system to help Martu understand police orders, protective bail orders and various restraining orders. 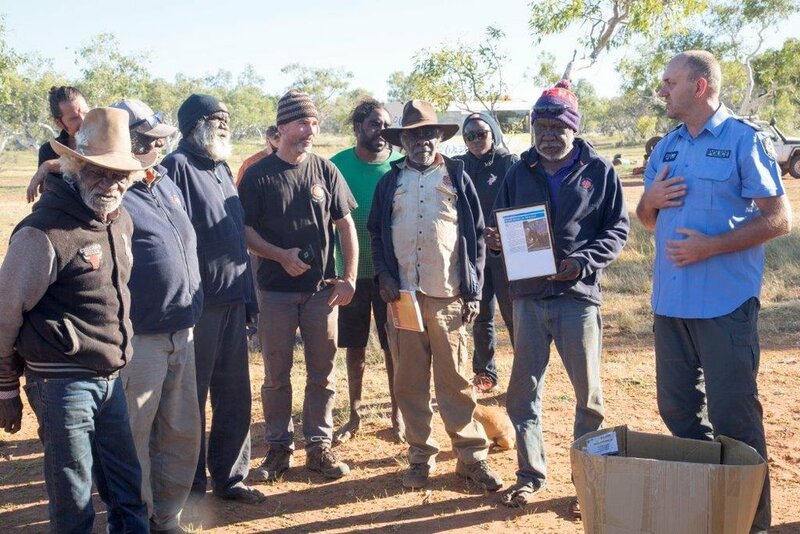 Martu are currently working with agencies to create a Martu Court and a diversionary program that will give the magistrate the option to divert Martu away from prison to supported participation in a suite of existing programs (such as the ranger program) in dry, Martu communities.